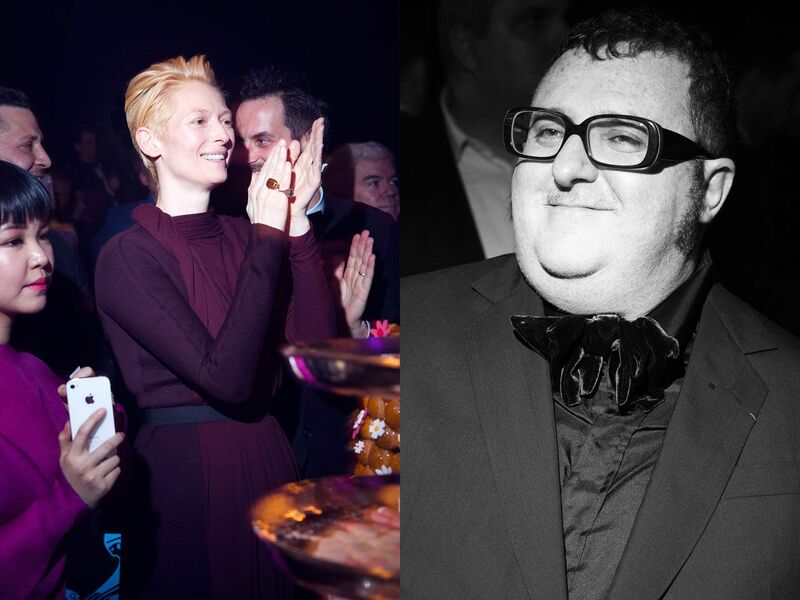 Lanvin Fall 2012 marks Elbaz' 10th year at the fashion house. Remembering his partying years, which were during the 80’s, the enormous celebration he threw for his 10th birthday at Lanvin had a very 80’s feel. His truest words remains, "I just want to make people more beautiful and happy." With celebrity guests and worshippers like Tilda Swinton, Jessica Alba, Pharell and Dita von Teese, his party was so lavish yet elegant. Watch this video and listen to him sing Que Sera Sera. The collection was quite celebratory. "Embellishments and decorations were at an all time high – dripping jewellery, delicious ruffled dresses, plush belts and gloves, and amazing fur trims." The collection was the highest form of glamour, elegance and sophistication. And here's Karlie, back on the runway after missing New York, London and Milan. 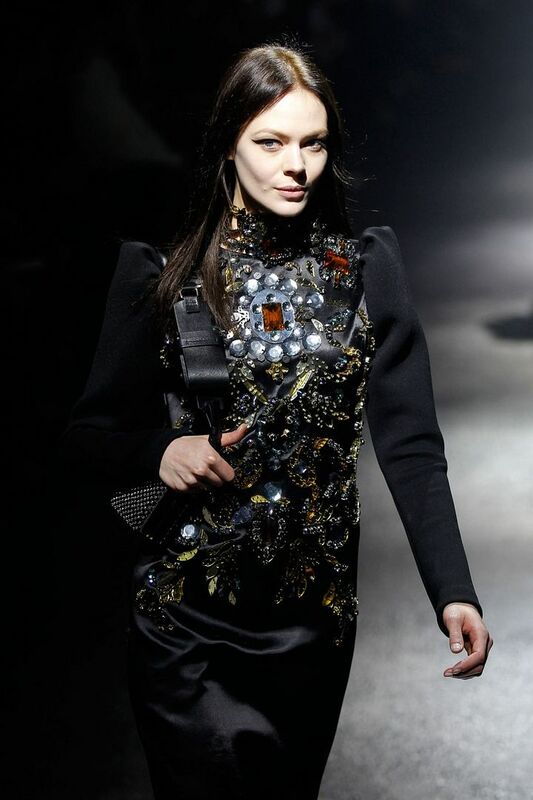 Lanvin simply knows woman best! Balenciaga Fall 2012: Balenciaga Inc.